GasAlertMax XT II is the safest and most economical choice for multi-gas detection systems. Utilizing the most advanced technology on the market, the GasAlertMax accurately and reliably monitors up to four hazardous conditions, and offers a simple user friendly device for easy operation. Its standard safety features and compatibility with other instruments ensure that the gas detector is the best instrument for gas monitoring compliance. JJS Technical Services is proud to introduce the Gas Alert Max XT by BW Technologies. This portable multi-gas detector features an integrated sampling pump and simultaneously monitors and displays up to four gases, including hydrogen sulphide, carbon monoxide, oxygen and combustibles. The Max XT features an easy to use pump, making remote sampling simple and effective. 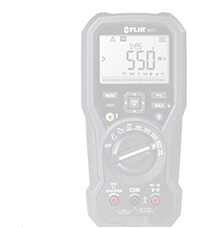 This allows you to detect the atmospheric conditions before entering a confined space. 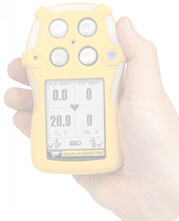 One-button operation makes this gas detector simple to use, even while wearing gloves. The front plate can be removed, which turns the pump off and allows the unit to work in diffusion mode. When you purchase the Max XT, it comes with battery charger, calibration adapter and tubing, reversible screwdriver, user manual with materials, booklet and technical reference guide. Click buy now and get the world's most versatile and economical multi-gas monitor today. The lightweight and portable unit is approximately 11.5 ounces, and features the latest technology allowing for a compact design. With an operational temperature range of -4 to 122 degrees Fahrenheit, the monitor is designed to function effectively in many harsh conditions. The cautionary yellow outer shell helps to ensure that the gas detector is carried with the user not left onsite. Additionally, the durable casing is resistant to water and features a built-in concussion proof boot. The GasAlertMax XT II features a triple alarm system designed to alert users of potentially hazardous conditions. When the gas sensors detect specified levels of H2S, CO, O2, or combustible gases, the instrument will begin the triple alarm alert and notify users and those nearby. The device indicates these dangers with a vibrating alarm, an ultra bright visual alarm, and an audible alarm of over 95 decibels. The alarms are also designed to alert users of administrative needs such as battery replacement. The GasAlertMax XT II has multi-language support features in English, French, Spanish, German, and Portuguese. The gas detector also has state of the art block detection with semi-conductor pressure sensor, and standard data and event logging. Accessories such as the belt holster, multi-unit cradle charger, and concussion proof boot are also available. Upon activation, the unit will automatically test sensors, pumps, battery, and circuitry. For additional test and calibration, the GasAlertMax XT II is compatible with the MicroDock II automated test and calibration system and Fleet Manager II. Improving on its functionality, the unit is customizable. Users can change options for forced calibration and tests, safety locks, alarm setpoints, safe display mode, language choices, start-up message, and more. 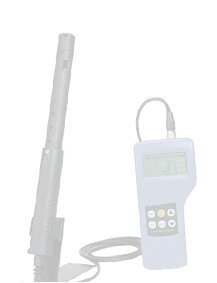 The easy to read LCD screen displays continuous information about real-time gas concentrations and alarms. To maintain simplicity and ease of use, the GasAlertMax XT II also features a user and glove friendly one touch button for operation. The no-frills design has an added benefit of minimizing cost and user training. This simple, portable, and compact detector is the best instrument for confined spaces or potentially dangerous worksites. The typical batter life ranges between 8 and 13 hours depending on the temperature. The durable and long lasting batteries can fully recharge in approximately 6 hours. The GasAlertMax XT II and its sensors feature a standard two year warranty. With safety and reliability as a top priority, BW Technologies has developed the multigas detector to utilize the most advanced technology on the market, while maintaining its simplicity and portability. 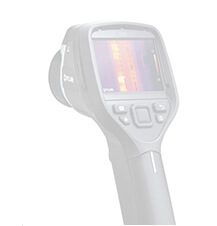 When working in settings with possible gas exposure, users can be certain that the gas levels are being accurately and reliably monitored with the best technology available. This portable accessory by BW Technologies is easy to use when on the job site. Use this accessory for pick hole sampling or when attempting to sample gas in hard to reach spaces. 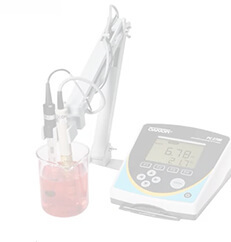 This particular sample probe has the added benefit of utilizing hydrophobic and particulate filters which help to moisture and debris from entering the detector and damaging its internal circuitry. For a list of BW Technologies accessories that are compatible with your gas detector, please see your product's specifications sheet. The BW Technologies IR Connectivity Kit connects your BW Technologies device to your computer. 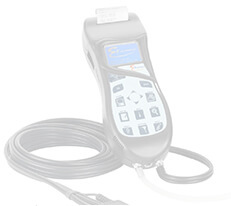 The kit also includes the Fleet Manager II Software. The software allows users to download data directly from their device to their computer. Downloading is quick and easy with the connectivity kit. From here, users can create and run a variety of reports that help with site assessments and analysis. The information can also be easily archived for future referencing. BW Technologies produces a variety of on the go accessories for their product lines. The BW Technologies Vehicle Power Adaptor allows users to charge their detectors easily in any vehicle. The vehicle power adapter is easy to use and convenient. Simply plug the adapter into the device, and then plug the other end into the vehicle power port. The adapter has an LED light that will indicate when the detector is fully charged. The power adaptor is suitable for 12V applications.